KUCHING: The Sarawak for Sarawakians (S4S) rally on Wednesday is a wake-up call for the federal government which must acknowledge the message sent out by the participants. Parti Rakyat Sarawak (PRS) president Tan Sri Datuk Amar Dr James Masing believed both the federal and state governments should take S4S rally seriously because of the composition of the crowd, the enthusiasm shown as well as their aspiration. Amazed by the crowd which consisted of participants from all walks of life and from all ethnic groups including the disabled, the elderly and the young people, Masing said the federal government should not ignore it. Impressed by the enthusiasm shown by the young people who bought their full attire and their willingness to spend on painting colonial flags on their faces at the rally, the Baleh assemblyman hoped the enthusiasm could be ‘used, harvested and harnessed’ by the state government by including them in some of their official activities. “I was impressed by them. 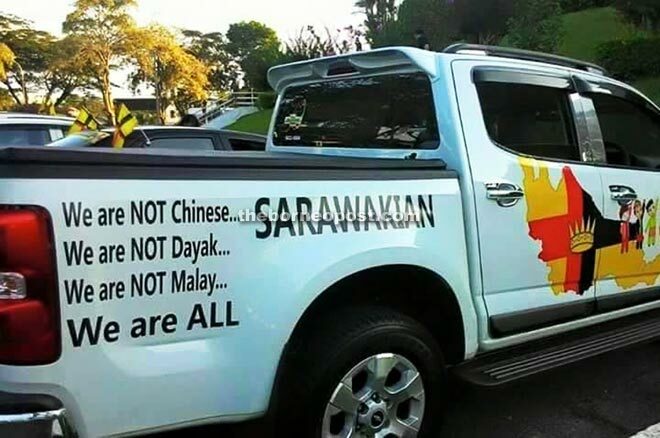 There was this statement they painted on their vehicle – “We are not Chinese…we are not Dayak..we are not Malay. We are all Sarawakians.” Masing, also Minister of Land Development, said this showed that the participants had the right racial attitude and direction towards a better future. “The racial attitude should also be emulated by Peninsular Malaysians,” he said. When contacted, Sarawak Dayak Iban Association (Sadia) president Sidi Munan said he gave his blessing to the S4S organiser, Peter John Jaban, to proceed with the assembly on three conditions, namely: no to the call for secession, adhere to the law and only seek recognition from the state government to commemorate July 22 as a public holiday for Sarawak. “The police needed a registered society to organise the event, so I agreed that Sadia should be the registered society to apply for the permit on conditions they observed all the three things that I have told them to adhere to,” Sidi said. Sidi asked Peter John to state the financier of the event and he was told that it would be self-financed by the participants who came from all over Sarawak. “I asked this question because I do not want it to be infiltrated by any political party as Sadia is apolitical,” he said. Sidi also confirmed that Peter John was now an exco member of Sadia, being given the task to look after the social welfare of the Iban-based NGO and recruitment drive. “He has been very helpful to those from the rural areas who are seeking jobs in towns and places like Kuching. He also helps us to look after the welfare of people who are poor and in need,” added Sidi. He hoped the state government would listen to the voice of the over 5,000 people who attended the gathering and even engaged S4S in next year’s celebration of the same event. “Actually I was surprised by the turn-out. We never expected such a big crowd. 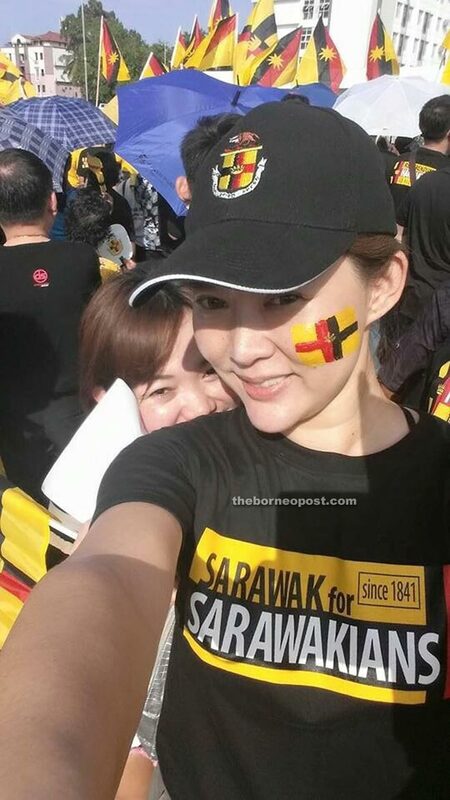 With such response from the people, we hope the state government will take their voices into consideration and declare July 22 as a public holiday for Sarawak to commemorate our Independence Day,” said Sidi. Meanwhile, state CID chief SAC Dev Kumar said 13 people including Peter John were asked to give their statements after the event. He said an investigation had been initiated against them based on their speeches under the Sedition Act. “But on the whole the event was organised in an orderly manner and no untoward incident was reported,” said Dev Kumar.